Which is better to use for your blog: WordPress or Blogger? That’s the first questions many beginning bloggers ask. For those that choose WordPress (the majority of bloggers), the next question is: Should you use WordPress.com or WordPress.org? And what is the difference? In this article, I’ll try to answer these questions as well as others you may have the best I can. 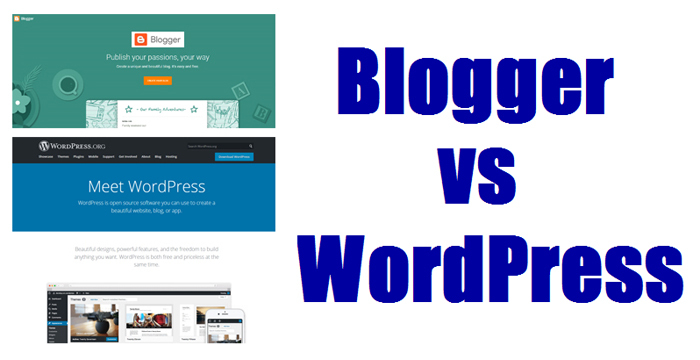 So, let’s take a look at Blogger vs WordPress. Blogger is one of the oldest blogging platforms and is now owned by Google. With Blogger, you sign up for an account (or use your existing Google account) and you can create your blog as part of Blogger’s multi-user platform. While Blogger was once a much more popular blogging platform, it has since been surpassed by WordPress. However, many people still use Blogger with good results. Because Blogger is a Google product, it’s tied in with Google Adsense and Google Analytics. So, if you wish, you can monetize with Adsense through your Blogger dashboard. Working in the Blogger dashboard is very easy. Blogger has more of a graphical interface for creating your blog posts and pages. Beginning bloggers will probably find working with Blogger a bit easier than WordPress—at least when starting out. WordPress is definitely the most popular blogging platform that now powers about 30 percent of the entire web. However, there are two flavors of WordPress you can use: WordPress.com and WordPress.org. 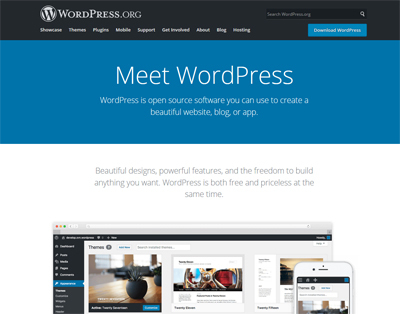 WordPress.com operates as a multi-user platform much like Blogger, while WordPress.org provides software you use in a self-hosted environment. While you can create a free blog site, WordPress.com has become sort of a hybrid between free blogging and using self-hosted WordPress.org software. WordPress.com now offers three paid plans in addition to the free site plan. In terms of getting started for beginners, WordPress.com is more user-friendly. When you create your blog, you’re asked to supply some information which they system then uses to create a WordPress site tailored for your needs. Must Purchase a Paid Plan to Remove WordPress ads, Use a Custom Domain, etc. WordPress.org is the blogging platform that I use and is the one I recommend to most bloggers. With WordPress.org, you use the software they provide to create your WordPress site where you supply the hosting. In reality, what that means is you purchase a web hosting plan that includes WordPress support. You install WordPress from your web hosting control panel. Or, you can choose a web host that pre-installs WordPress for you. For more information on choosing WordPress hosting, check out my blog post here. While you don’t quite get the hand holding guidance when creating your blog that you do when using WordPress.com, most web hosting companies have done their best to streamline and simply the WordPress installation and website creation. You can also opt for a managed WordPress hosting plan that takes care of a lot of the maintenance tasks associated with WordPress. Which blogging platform performs the fastest? 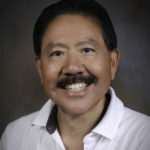 I tested similar blog sites on Blogger and WordPress.com, along with a self-hosted site using the WordPress.org software. Here are the results. As you can see, using a self-hosted WordPress.org site produced the best results. Obviously, website speed can vary greatly depending on your web hosting provider. However, my experience has been that choosing a top WordPress host will consistently give you the best results when it comes to blog speed. When it comes to comparing Blogger and WordPress.com, the WordPress speed times were consistently faster. The bottom line is, if you’re looking for better website speed, choose WordPress. 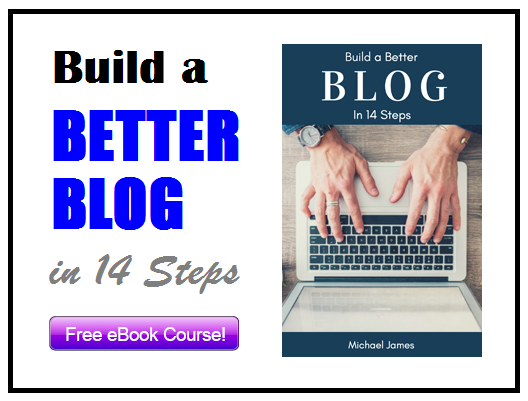 Both Blogger and WordPress.com are okay choices for absolute beginners starting out their first blog. They’re both easy to use and don’t cost you any money to try out. While I ultimately would recommend you go with a self-hosted WordPress.org blog (see below), if you’re deciding between Blogger and WordPress.com, I’d choose WordPress. I find the functionality better, and the transition to WordPress.org in the future will be more seamless. Deciding between WordPress.com and WordPress.org is a much easier decision. Unless you have no money and need a free blogging solution, I recommend you use WordPress.org by purchasing a web hosting plan that supports the self-hosted WordPress software. And because WordPress is so popular these days, seemingly every web host offers some type of WordPress hosting. Using the WordPress.org software with your web hosting plan gives you more freedom and control over how you build your blog. And, it’s a much better value as you get access to the features that cost more money with WordPress.com. So, when it comes to Blogger vs WordPress, based on my blogging experience and testing, I would recommend WordPress over Blogger. And, when it comes to WordPress, I would definitely recommend going with a self-hosted WordPress.org site with a quality WordPress hosting provider. For more assistance on choosing web hosting for your self-hosted WordPress.org site, see my blog post on the Top 10 Tips for Choosing Web Hosting. Very useful post. This is my first visit here. I found so many interesting stuff in your blog. Truly, its great article. will look forward to read more articles. Nice and very informative blog post for start-up bloggers. Your blog post provide information about which one is better for blogging and which one is more popular. Very useful information . Difference between wordpress and blogger is well defined and easy to understand . Good post and thanks for providing this to us! Thanks for sharing another awesome hack of blogger. But its comes after too much time but still sound cool.